I have to be honest this isn't a great race even for a class 6 affair, there's 12 runners and 3 that have been known to lead before if nothing else wants to, add on three 3-year-olds that could improve given time and one of them Even Rock from stall 2 could possibly be a danger, another possible pacesetter is Dolydaydream from stall 1 but its time when finishing 2nd over this c/d was quite slow, I'm going with 2 selections, SWISS CROSS 14/1 is top rated using a 2017 time here and ran on Wednesday and if running again here it might be a hint to connections thinking it needed the run, I've got CHARLIE ALPHA 8/1 rated top but that was recorded on this surface but at Chelmsford and a repeat of that time would see it win cosily and it looks as though it likes a fast pace to aim at but is still a maiden after 12 previous runs. 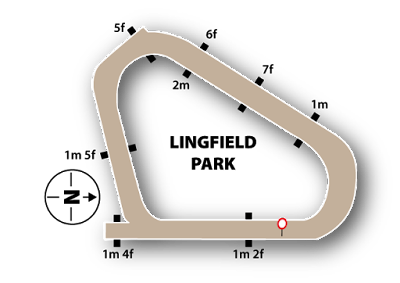 Quite a complex looking race and only 1 known front running type but I doubt that ones good enough to lead all the way on this straight course, Russian Realm my 2nd top rated hasn't won for 14 races and may need a fast pace to aim at which might not happen here, EQUIANO SPRINGS 3/1 is my 3rd top rated but it has good trainer/jockey stats which may point to connections expecting a big run here but I do have ATHOLLBLAIR BOY 9/2 rated higher when you take off the apprentice jockeys 7lb claim but I will be backing both of them in case the apprentice doesn't do himself justice. This is a right mish-mash of a race, there's 2 front running types in the race plus 2 more that have been known to lead if needs be, I can then split the race into 2 groups but the smaller group of those I think cannot win only numbers 4 leaving me with 7 that could possibly win but hopefully I can narrow it down to 3 that I would look to dutch to small stakes, ENCODED 7/1 could be the one to prosper if the leaders go off too fast and fade, HULA GIRL 7/1 has a time from Lingfield that would make it top rated, its a possible front runner so if taking to this surface could go well, NOVABRIDGE 12/1 is more than capable of winning a race like this so is my 3rd selection.